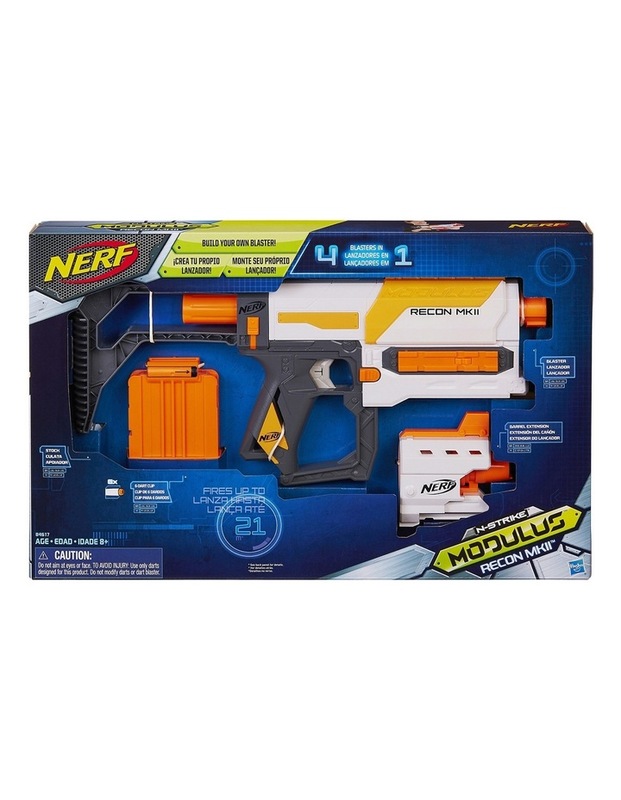 Boys can build their own blaster for each mission or battle with the Nerf Modulus Recon MKII blaster from Hasbro! Customize the blaster with the stock and barrel extension to create 4 different versions of the blaster. Whether it's a stealth operation, close quarters battle, or long-range targeting, the Recon MKII blaster can be configured for the next Nerf mission. Load the blaster with the 6-dart clip and head into action. The Recon MKII blaster fires darts up to 90 feet (27 meters).